It's been an exciting few months, and we're back with a new show in our gallery! The Compassion Anthology has worked with us to host a truly inspiring show on women artists and writers, with paintings, collages, installations, apparel, ceramics, and poems adorning our walls from various women artists and women writers. 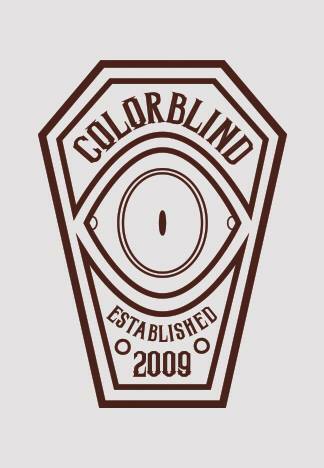 The show is on view from August 5th - August 27th, during our normal gallery hours. 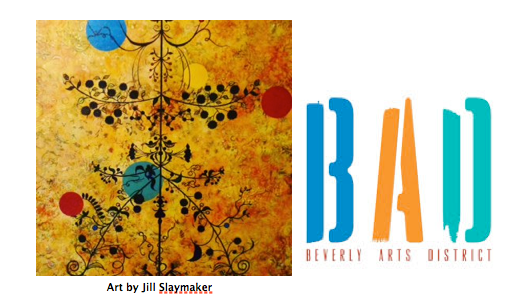 This show includes work by three of our current studio tenants, established artists, and writers! 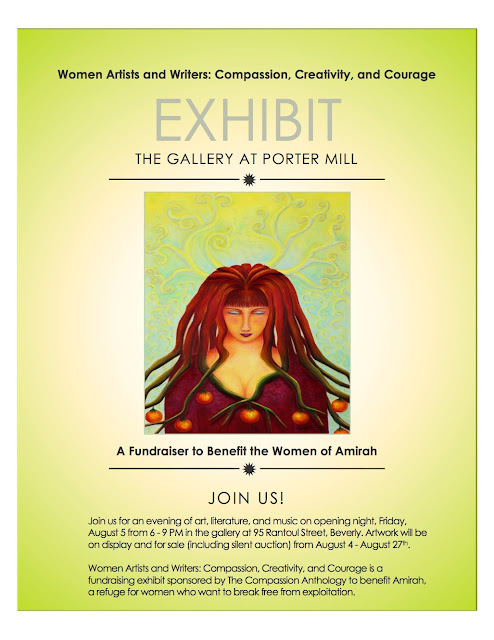 The proceeds go to the artists and Amirah, a refuge for exploited women. 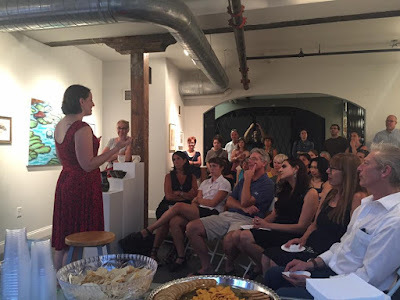 The show's reception was on August 5th, and included refreshments, live music, and live readings. 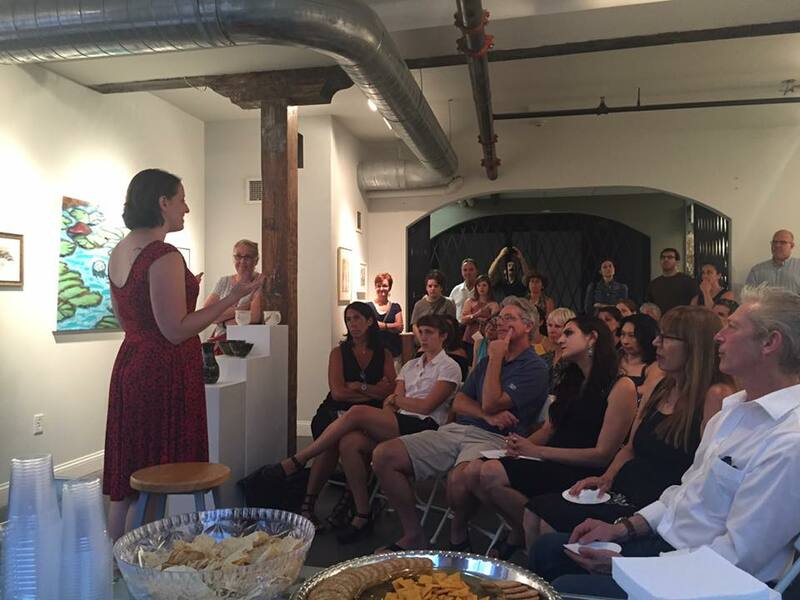 We had such a great turn-out, and a few of the pieces in our gallery already sold! The night was filled with inspiring words and solidarity, and a whole lot of applause for some talented and amazing women! Want to purchase the work in our gallery, and support Amirah? Please stop by the gallery to see the show, during our regular gallery hours! Email compassionanthology@gmail.com to inquire about a specific piece, or to make a donation to Amirah! Our gallery hours are Thursdays and Fridays from 5 - 7 PM, and Saturdays and Sundays from 12 - 4 PM, or by appointment! Email studios.portermill@gmail.com if you have any questions about the show! And please, stay tuned for more coming events!!! Get Excited! 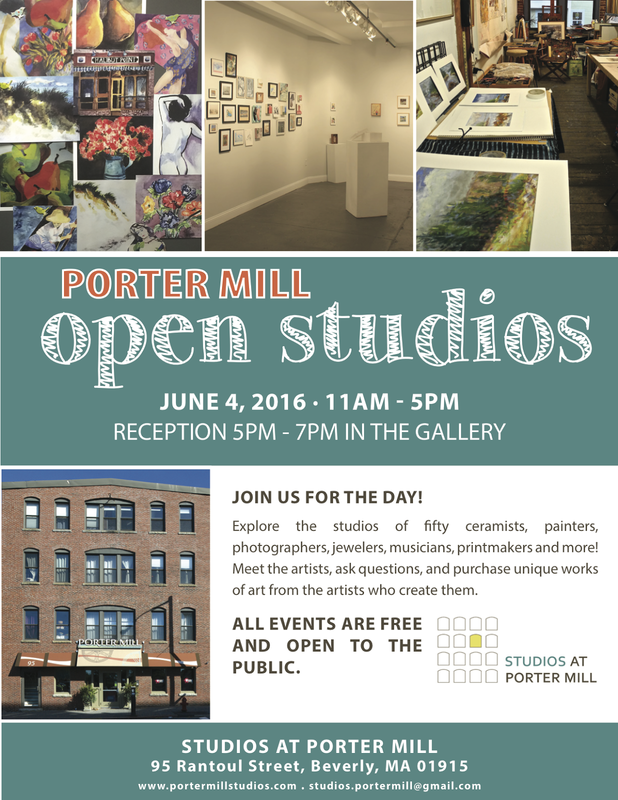 Open Studios at Porter Mill is June 4th, from 11 AM - 5 PM! Our Open Studios is coming to Porter Mill! Come in and explore the historic Porter Mill building- see the studios of a multitude of amazing artists of various media, purchase unique works of art, and stop by our gallery to see the "Art of Porter Mill" show! Porter Mill is located on 95 Rantoul Street, Beverly MA 01915! Have any questions? Email us at studios.portermill@gmail.com! 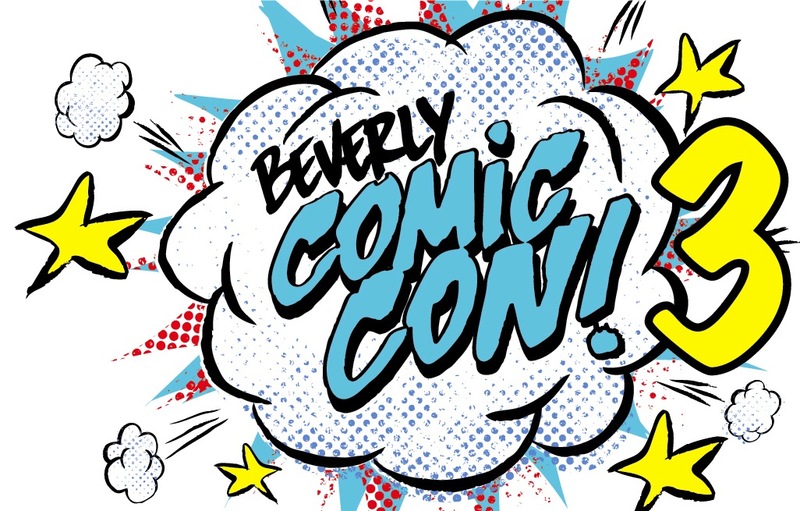 “North Shore Comics Mayhem” features original comics and cartoon artwork from local independent comic artists Eric Boeker, Braden Lamb, Shelli Paroline and Dirk I. Tiede. Be prepared for zombies, werewolves, giant monsters & robots, sci-fi action, and sweeping fantasy adventures. Eisner Award-winning team Braden Lamb and Shelli Paroline have been creating comics professionally since 2008. Coming up through the indy small press scene, they made a name for themselves by working on such high-profile series as “The Muppets” and “Adventure Time”, while continuing to create their own personal work. They live and work in Salem. 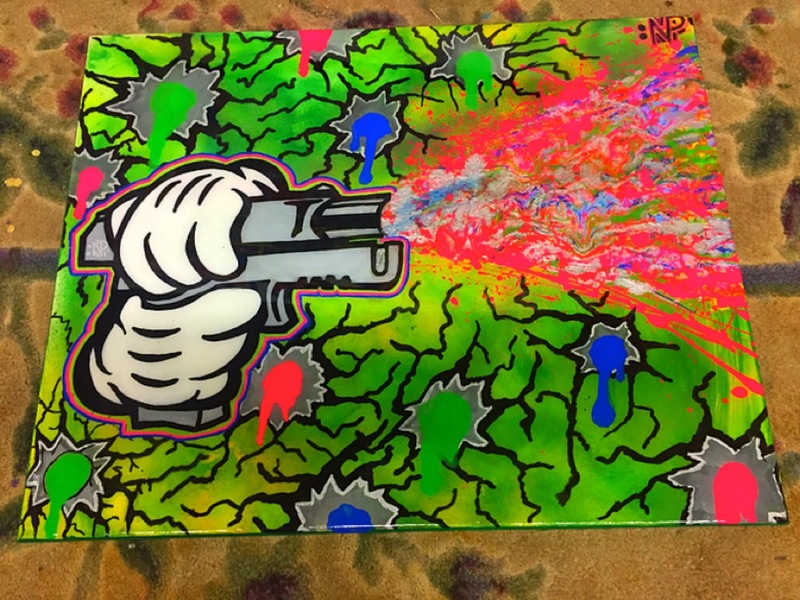 Beverly-based artist Eric Boeker’s unique style is both comedic and thought-provoking. His “Commute of the Living Dead" has been in Dig Boston’s online comic section since 2010. His work has adorned the walls of local hot spots such as the Atomic Cafe and the Gulu Gulu, and can be found at local art fairs. Dirk Tiede cut his teeth in the independent comics world with a successful self-published graphic novel series and webcomic called “Paradigm Shift”. 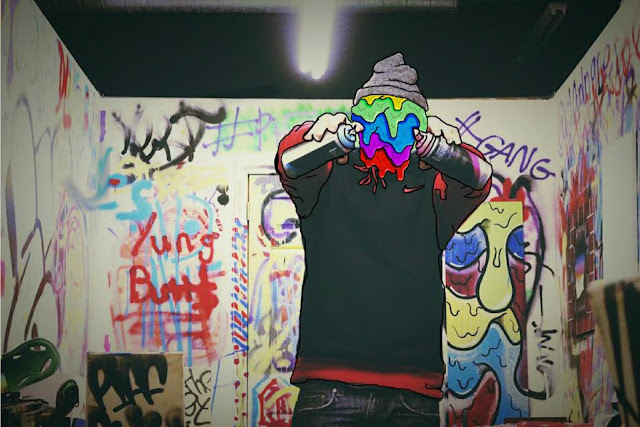 More recently, his first all-ages comic, “STRANGER” was published last fall. He has been honing his skills as an illustrator and painter with a series of paintings that mimic classic animation production art, using several layers all traditionally. Tiede uses a combination of materials both digital and traditional in his work to great effect. Dirk also calls Beverly home. 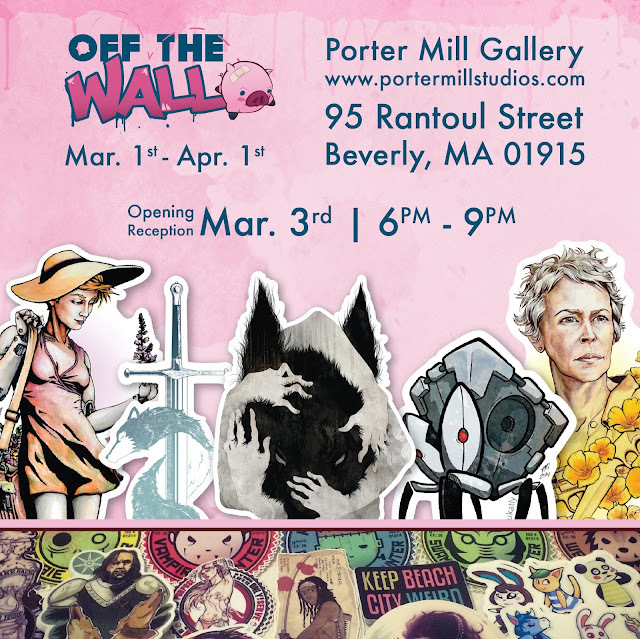 “North Shore Comics Mayhem” runs from May 6th though the 28th at Porter Mill Gallery. The opening reception is from 6-9pm on Saturday, May 7th. 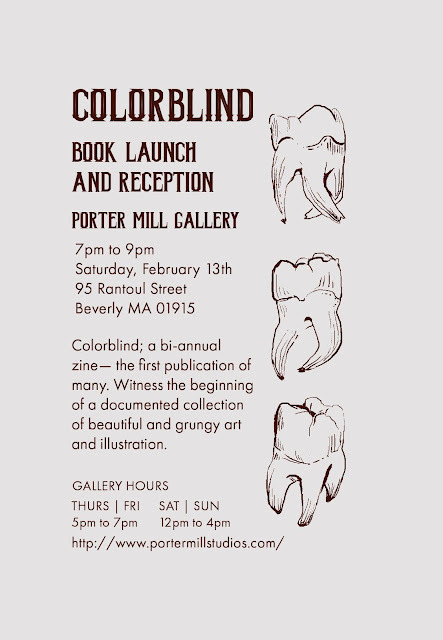 There will be refreshments, live music, books and prints available for purchase, and tons of amazing work to look at! Please contact the gallery for more information! Porter Mill Studios: 4 WEEK ART CHALLENGE "Week 2"
I wanted to thank everyone who has participated so far in the building on this challenge and want to apologize for the lateness of this post for this week's new theme. Saturday we had a great night with Nick Pinciaro's first show in the building "The Drip Room", we had a wonderful turnout for one of our newest and youngest artists here at the Porter Mill! Now let's get to it! Week 2 of the Porter Mill Studios 4 Week Art Challenge might have started late but it doesn't mean you can't still be apart of this fun community challenge! This week's theme is: "MISCHIEF"
I want to give everyone the run down again just in case you missed the last post! For four weeks in April we're challenging the artists of the Porter Mill to produce a new piece every week based a theme given every Saturday. After the month is completed the work will be collected and displayed for the our June show "The Porter Mill Studios: 4 Week Art Show" to coincide with our big Summer Open Studios on Saturday June 4th. This challenge is going out to Porter Mill artists exclusively and will be a great chance to create some new pieces and represent your art in the building! It's okay if you can't do every week or if you're too busy to participate whatever you want to submit will accept in this show, as long as you're a Porter Mill artist you're in! This challenge is a fun encouragement to push yourself creatively and produce some new art to share and sell!